I made the 4 1/2 train journey up on the Saturday morning and then spent the afternoon exploring the city. 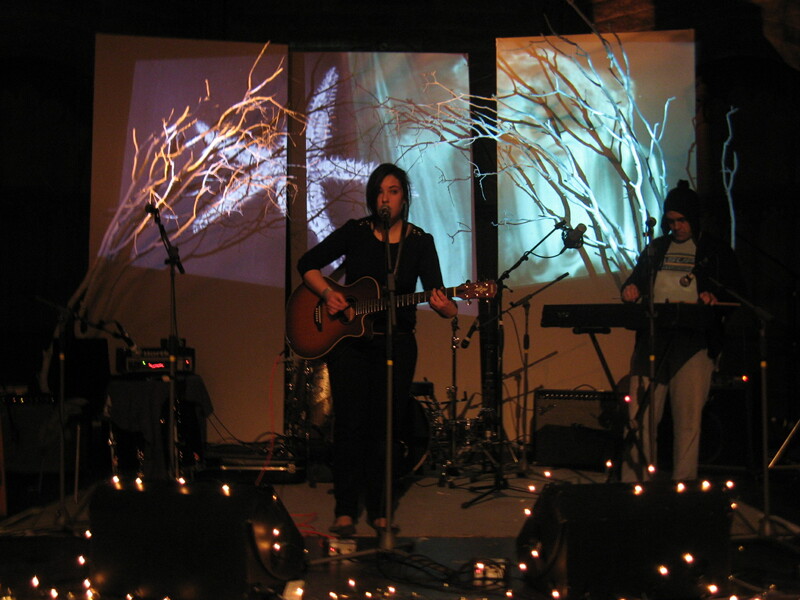 In the evening I headed to Hidden Door, which was described as a ‘mini-festival’ of art, music, poetry and films. The fact that it was the same weekend was perfect timing as I wasn’t aware of it at the time I had booked. As well as sounding like an interesting event, the main draw for me was getting to see Broken Records, who are based in Edinburgh, and whilst travel down to London a lot are always worth seeing, especially to a home crowd. 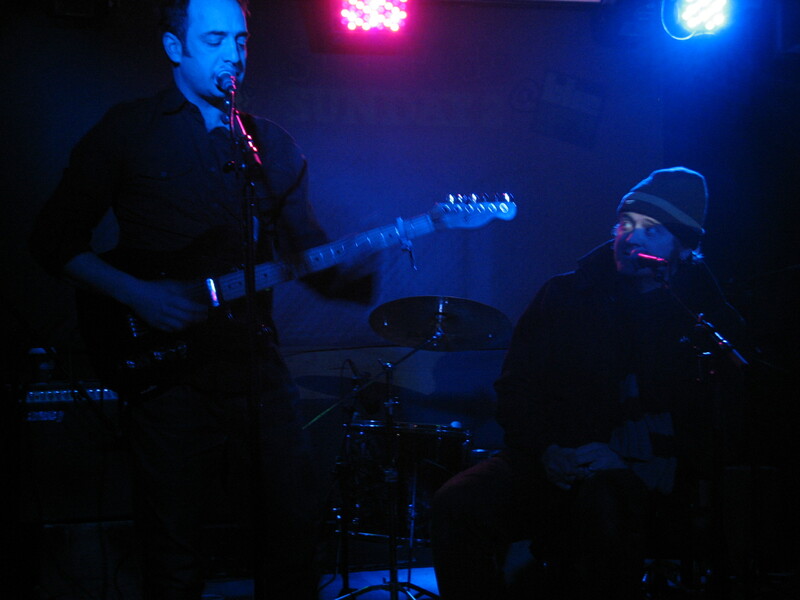 Before them I saw a few other bands – a really enjoyable singer called Panda Su (who kept playing to the appreciative audience when the power went down halfway through a song), and Andy Brown who seemed to be half singer, half poet, singing over lo-fi backing track recordings. The main room of the event (a converted church) was a maze of small rooms each housing exhibits from different artists, and a space for performance artists in the middle. At the other end was the main stage. The whole thing reminded me a lot of the Shunt Vaults venue in London Bridge that I went to last year, but with more music and less odd performance art. After a bit of exploring in between bands it was time for Broken Records, who performed as an acoustic four-piece instead of the usual seven members. The songs worked well in the stripped down format, especially one of my favourites on the album, ‘Wolves’, despite singer Jamie Sutherland needing to be reminded of the words by a fan halfway through. They also threw in a few new tracks, one of which is planned as the b side of a new single to be released in May, which is great news, and a chat with violinist Rory Sutherland after the gig relevaled that they are hoping to have a new album out by September. I stuck around to watch a few more bands and then headed back to my hotel ready for a busy second day. I got up far earlier than I ideally would on a Sunday so that I could pack plenty into my morning before the all-dayer Sick Kids Sunday gig began at 1.30pm. 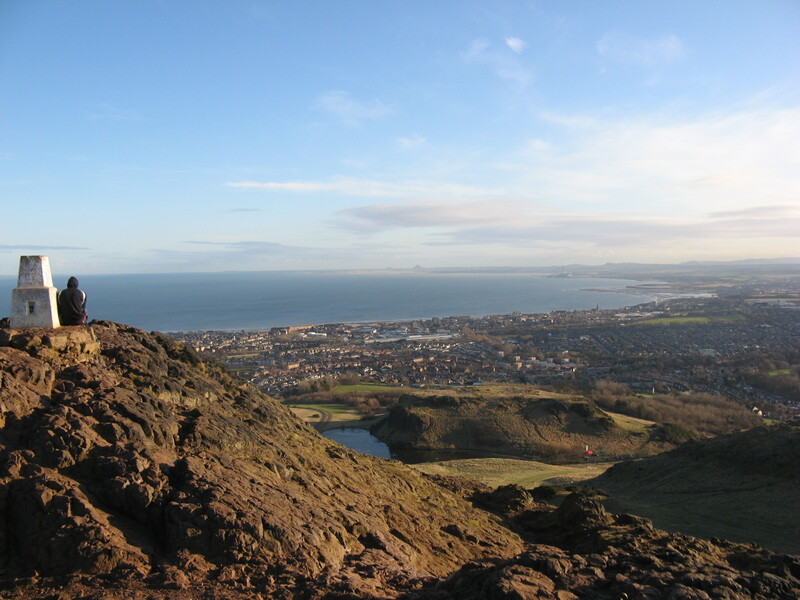 First on the agenda was the walk/climb up to Arthur’s Seat, a nearby hill peak overlooking the city with some breathtaking views. The walk certainly reminded me that I could do with getting fit this year, but was worth it for the stunning scenery. 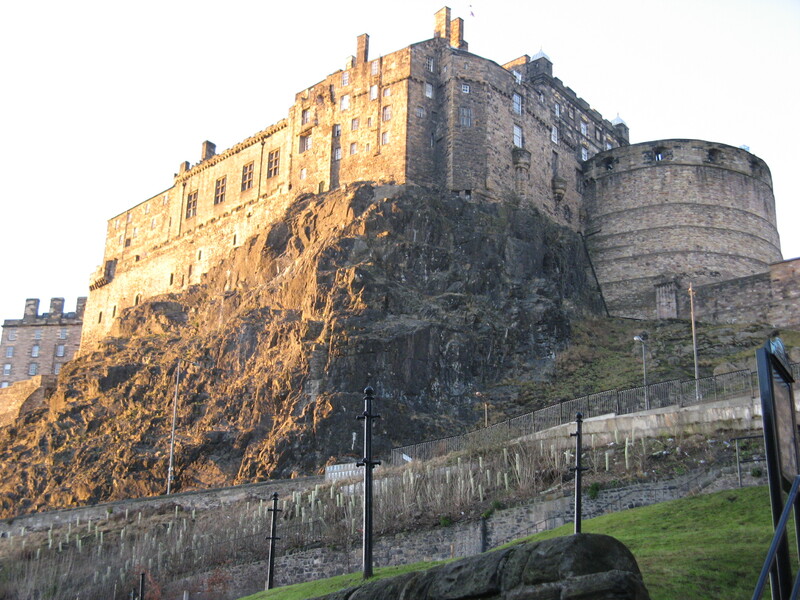 After a slightly scary descent down a slightly wrong path, I headed back to see some more of the city, and to get some haggis for lunch before the gig – oh yes, I was in full-on tourist mode! As this is a gig blog not a travel blog I’d best get on with the gig report. 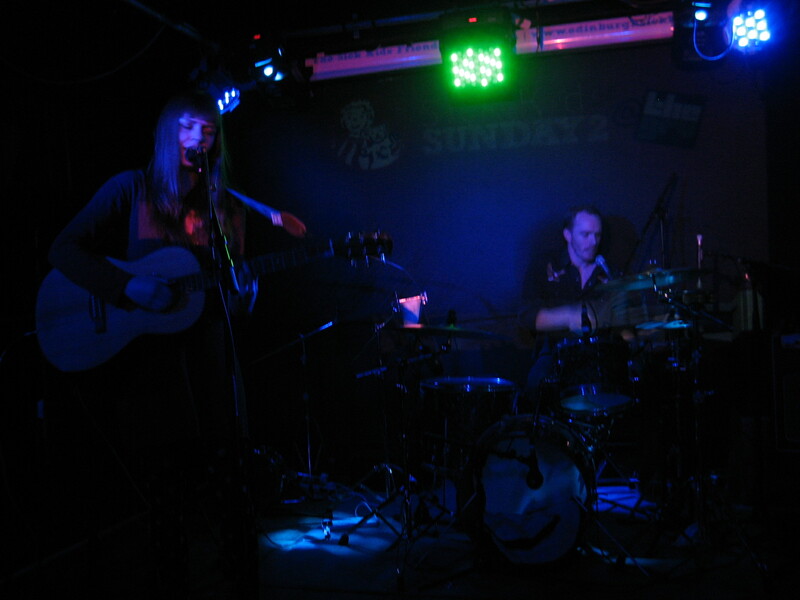 I discovered the Sick Kids Sunday gig (a charity event, this being the second one to be held) after it was posted on Twitter by Martin John Henry from the sadly defunct band De Rosa, as he was due to play. I was disappointed when I arrived at the venue, The GRV, to find out that he was unable to play, however due to the strength of the line-up it didn’t put too much of a dampener on the event. The first band on, Zoey Van Goey, got the crowd warmed up with their cover of Wilco’s ‘Heavy Metal Drummer’, using the crowd to ‘sing’ the different drum parts, as they were playing as an acoustic group. Next up were James Yorkston & Adrian Crowley billed as playing the songs of Daniel Johnston. The reality was one or two of his songs and a selection of other covers (made no difference to me as I don’t know any of his work), lead by Crowley on guitar and Yorkston helping out on backing vocals. Despite joking by reading his book during a solo Crowley track, it did seem like James was a bit bored, and certainly underused, but he entertained himself bygetting behind the drum kit for a couple of tracks. The afternoon continued with a singer named Rob St John filling in for Martin John Henry at the last minute, and a couple of bands I was unfamiliar with, The Stormy Seas and Eagleowl, the latter I was particularly impressed with. There was also another band substitute, as Alasdair Roberts was replaced with Broken Records performing another acoustic set. Despite being the same set as the night before, it was a great chance to see them in a stripped down format (especially with Jamie getting the ‘Wolves’ words right this second time! ), and a welcome bonus to see them twice in a weekend when I hadn’t expected to see them at all. After a short break for everyone to get a drink or a bite to eat, we were treated to a lively set from Woodenbox With A Fistful Of Fivers, who went down well with the local crowd. 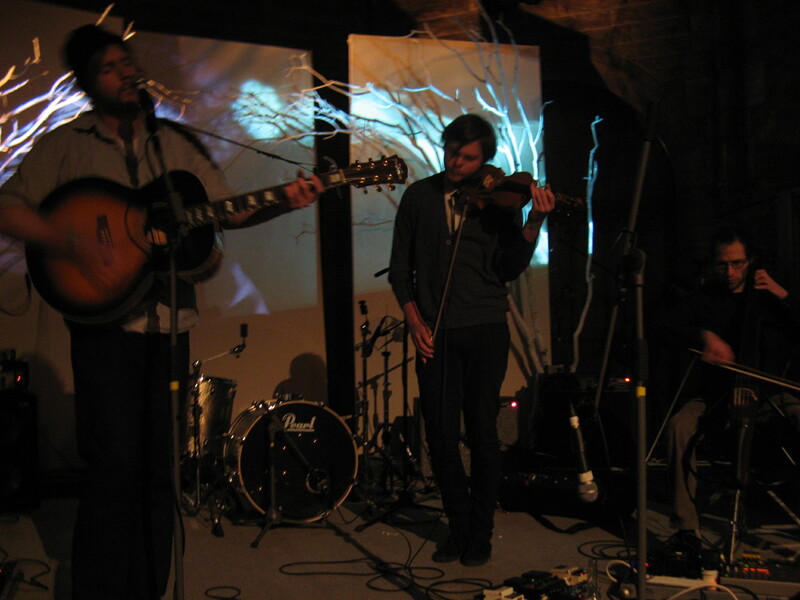 Next up were one of my other reasons for being attracted to the gig, Sparrow And The Workshop, who entertained the crowd with their folk and country-tinged indie rock. They seem to get better every time I see them, and have released a couple of superb EPs packed with tracks that seem forever stuck in my head. The night ended with Meusault, a band who I’ve heard a lot of good things about but had yet to hear. I really enjoyed what I saw, but also got the feeling that there is a lot more to be gained from some more listening, and so hopefully I will get to see them again soon. I unfortunately had to leave before the end, as I was catching the overnight sleeper train home to London, however left feeling very satisfied from a weekend of great music, and getting to see a fascinating and beautiful city. I’m sure it won’t be long before I find myself back there again, maybe for the next Sick Kids Sunday gig! This entry was posted in Gig Review and tagged Adrian Crowley, Arthur's Seat, Broken Records, Eagleowl, Edinburgh, gig, Hidden Door, James Yorkston, Martin John Henry, Meursault, Panda Su, photos, review, Sick Kids Sunday, Sparrow & The Workshop, Sparrow And The Workshop, The GRV, The Stormy Seas, Woodenbox With A Fistful Of Fivers, Zoey Van Goey. Bookmark the permalink.